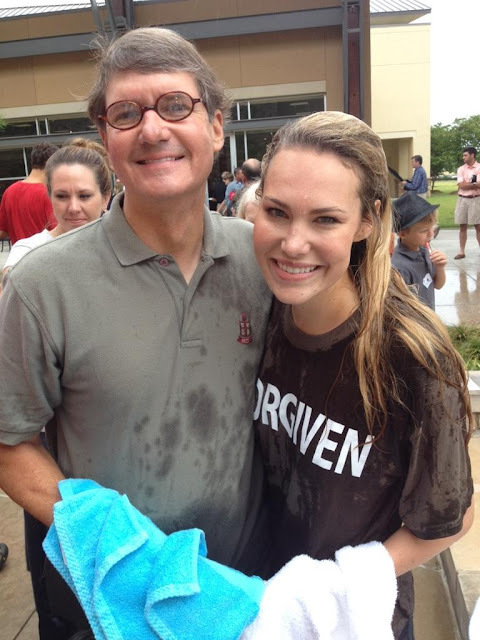 Ashes of Laughter: And I Was Baptized! Let me start off by saying that I have a terrible fear of public speaking. Something that has stood in the way of my baptism for 24 years now. You see, at my church we do not christen (sprinkle holy water on a baby). At my church it is customary to be baptized when you can make the decision to publicly profess your faith and testimony on you own. 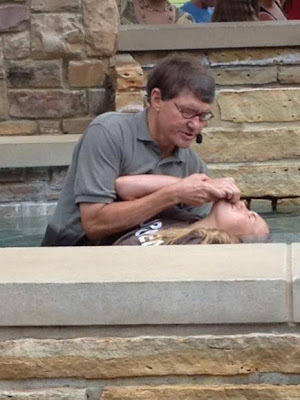 Since last Fall, I have really felt the Holy Spirit tugging on me to be baptized. I filled out a bulletin at church to learn more about baptism. 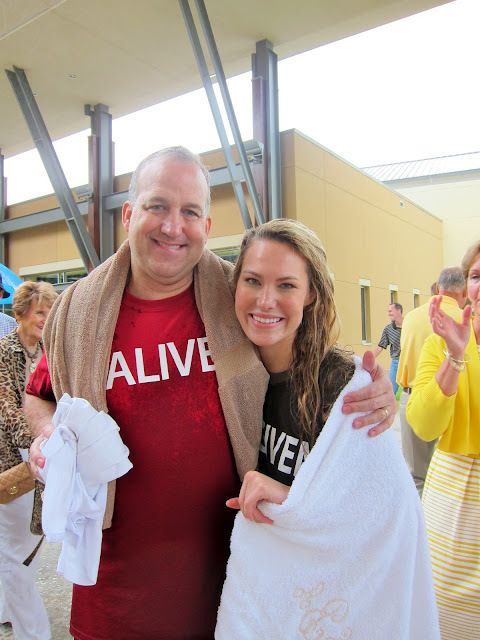 I learned that there would be an outdoor baptism the following summer (not in front of all 5000+ members). I immediately decided that this was for me. As the time drew nearer, I was nervous, but also very excited. This would be my chance to publicly share my faith (and speak in front of a crowd for Jesus). 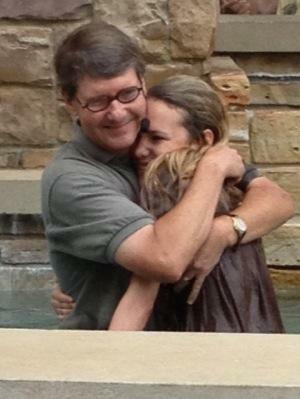 Did I mention that I was blessed to have my father do the honors (tear-fest, I know)? "Hi my name is Erin Baskin. I was very blessed to be raised in a Christian household, and accepted Jesus Christ in my heart at a very early age. For the last few years I have felt the Holy Spirit tugging on my heart to get baptized, and I decided it was time. Jesus Christ is my personal Lord and Savior, and I believe that He is the Son of God." Don't worry, I found out afterwards that not one person in the crowd could hear me considering I used my dad's mic... The important part is that God heard me. I'm glad that I have the opportunity to share this story with you. I am so blessed to have such loyal and encouraging followers. Here are a few more pictures of my special day! This is awesome. Thanks for sharing your heart -- and faith -- with us! Proud of you dear... sending warm hugs from all of us at SF!! This brought tears to my eyes! So proud of you!! Love you!! So inspirational! Thank you for sharing and congrats! Beautiful!! I love your shirt!! My husband is a pastor...I have to give him that idea of your t-shirt!! Thanks for sharing your experience with us! Love that you shared your step of faith in baptism! What a beautiful moment to share! congratulations! 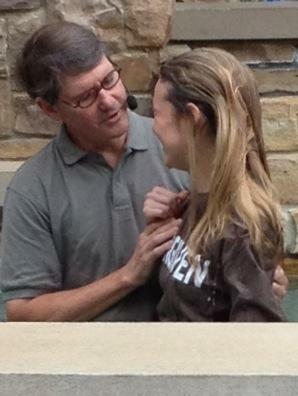 Baptisms are some of the most beautiful things to watch. I hope that this step in your faith life leads you on a lifelong journey! Awesome! I'm very happy for you! !